Health conscious readers rejoice - a new era of food preparation is here with the oil less fryers! This new generation of kitchen appliances is easy to use, it’s innovative and definitely here to stay. World renowned chefs are recognizing the benefits of using oil less fryers, and yes - Gordon Ramsey is among them. This switch to healthier food was bound to happen soon considering heart conditions and obesity are on a dangerous rise. Luckily, tech development has ensured that we get the same juicy food we love, all while taking care of our bodies and health. That means that, instead of saying goodbye to French fries and burgers, you can now prepare and enjoy them oil, and, guilt-free. The bonus is that oil less fryers are less damaging to the environment and can help with the energy consumption. So, to make sure you make the best choice for yourself, we researched some of the best oil less fryers on the market. What Is An Oil Less Fryer? What Is The Best Oil Less Fryer For Home Use? FAQ: How Long Does It Take To Cook A Turkey In An Infrared Cooker? To help you with your choice, we reviewed a couple of top rated oil less fryers. We covered both counter-top and outdoor appliances, with a variety of cooking technologies. We also kept in mind different needs when it comes to capacity and size, as well as wattage. Bi﻿﻿g Boss 9063 comes in the perfect red color, which is nice refreshment among kitchen appliances. The cooking time is shorter than usual - up to 3 times faster. That makes this model a pretty good choice for those with a fast-paced lifestyle. It also allows you to cook food on 2 trays at the same time, which means even less time consumption. With Big Boss 9063 you can cook your food straight from the freezer, and it will still save you energy! The juicy part of Big Boss 9063 is its “triple cooking power”. Triple cooking power actually means that this model uses infrared, convection and halogen power. With infrared, you won’t have to worry about uncooked insides and the food will be juicier than ever. Convection means the hot air heats and cooks the food evenly and halogen is in charge of roasting the food surface. If we’re talking numbers, Big Boss 9063’s size is 12.5 x 16 x 13.5 inches and 15 pounds. Most of Big Boss 9063 assets are pretty standard, and it’s hard to expect any stellar features. However, it appears Big Boss 9063 lacks a built-in digital timer and a temperature setting. The cooking time is shorter than usual – up to 3 times faster. The juicy part of Big Boss 9063 is its “triple cooking power”. Lacks a built-in digital timer and a temperature setting. As well, it gets pretty bright while it cooks, so it can be an eyesore. You can check a really good video review of the product and see its work on French fries and fruit dehidratation. This oven﻿ will make foot preparations easier with its 12 l capacity. For an affordable price, you get to roast, steam, bake and grill in a heat resistant glass cooking bowl. A side from a classy look, Oyama TRO-110C has 2 wire cooking racks for a comfier cooking experience. To get you inspired, the manual also includes several recipes. If we’re talking numbers, Oyama TRO-110C is 13 x 12.5 x 15.5 inch vise, and 14 pounds weight vise. It’s also sporting two dials - one for temperature and one that’s a timer. It operates using heated circulating air, as most oil less fryers do, so the food is pretty healthy. The plus side of the oven is that it’s made almost entirely of glass, and it doesn’t sport halogen heating systems that you can find in other models. Some of them have proven fragile. All in all, it’s a decent deal for that money, although - for a counter top appliance, it’s pretty large and hard to store. If you need more detailed information or a preview, we recommend checking out video review on youtube. Th﻿﻿e Big Easy﻿﻿﻿﻿ will definitely help you easily make even the biggest of turkeys just perfect. Specifically, you can prepare a turkey of up to 15 pounds, and all other kinds of marinated meats. The Char-Broil Big Easy uses infrared TRU technology. Thanks to double-walled cooking space and propane burners, the meat is cooked from the inside out, with all the juices caught right in the middle. Although the tech is smart, the usage of the Big Easy is, well, easy. There’s only two controls - turn on/off and to turn up the burner. With it, you also get the thermometer and preparing a Thanksgiving dinner has never been easier. Numbers do most of the talking here - the height is around 24 inches, and the diameter is of pleasant 21 inch. This Big Easy weighs 30 pounds, which is more than acceptable for an outdoor cooker. The minus side of this fryer is that it requires a propane tank to operate, which is not included. However, considering the raw oil less frying power you get with it - this might be an acceptable downside. It also means the fryer works fine in the cold and saves up on your electricity bill and that precious chicken space. Although a propane tank is not included, you do get a cooking basket, a handy lifter, a thermometer and a cooking guide. Requires a propane tank to operate, which is not included. Actually, you can see it work its magic in video review, and steal a couple of cooking tips. Keep reading our Char-Broil The Big Easy vs. Butterball Oil Less Turkey Fryer review! This futuristic little kitchen helper is quite the energy saver. B﻿﻿﻿﻿ig Bos﻿﻿s is a counter-top cooker, with two trays which is great for all the multitaskers out there. It heats up pretty fast, no need to defrost food prior to cooking. If we break it down in numbers, the size is 12.5 x 16 x 13.5 in, and the shipping weight around 15 pounds. The wattage is 1300 watts, which is decent but not mind-blowing. Just like with Big Boss 9063, this model’s selling point is the “triple cooking power”. Big Boss 1300 watt oil less fryer also uses infrared, convection and a halogen lamp to prepare that delicious food. There’s also a temperature setting and a timer, which is convenient and an improvement compared to some previous models. 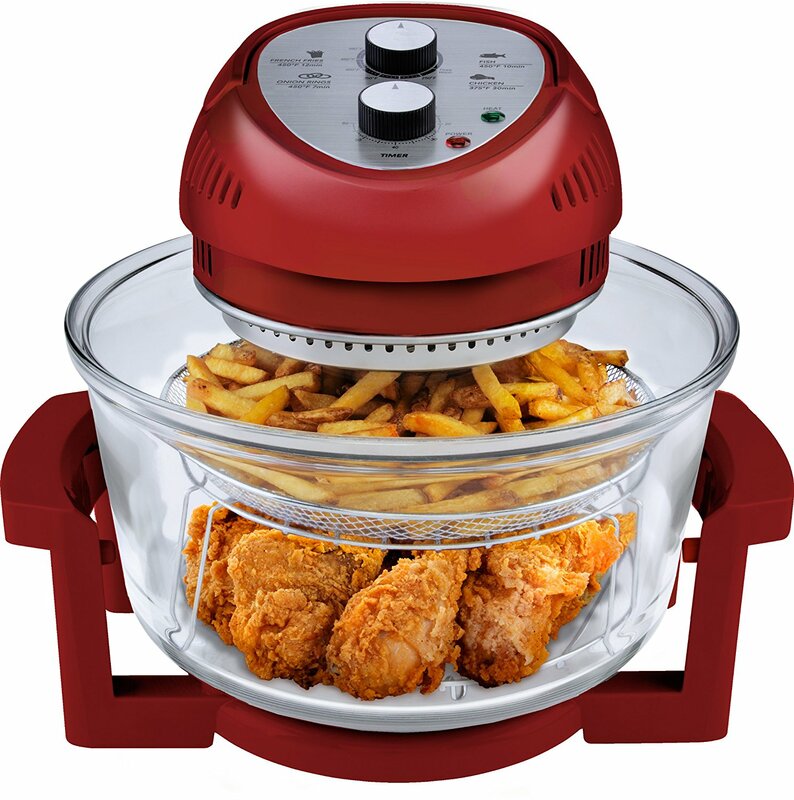 Big Boss 1300-watt oil-less fryer is decent, and if you are hunting for a fast bargain, it might satisfy your needs for a healthier meal. However, none of its features is a substantial perk that we haven’t seen in many other products. For starters, let’s go back to basics. An oil less fryer is basically a kitchen appliance that uses movements of heated air to cook food. This means you get a tasty food that’s less harmful to your health and the health of your loved ones. Why? 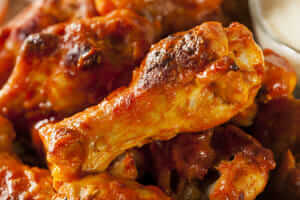 Most best oil less fryers use up to a spoon of oil, which is nothing compared to traditional cooking. Well, most oil less fryers work based on Rapid Air Technology. Rapid Air Tech means that air in the fryer is heated to a high temperature and circulated very fast. This means you can use these appliances for a great many different types of cooking - and it’s healthier than ever. Now, realistically - the taste of food is not the same as with deep fried food. And yes, it usually takes some time adjusting to a different way of cooking. But your heart will be grateful for it in the end. Oil less fryers come in different capacities and sizes - from small one to up to turkey-sized fryers. When deciding on the size of the capacity, much depends on yours and your family needs. If you frequently host parties or have a large family, you might want to opt for larger fryer. Either way, you can go from one pound fryers to up to 12 pound fryers. First things first - if you are planning to order your oil less fryer online, make sure your outlets at home and the wattage of the fryer work together. Most oil less fryers go from 800 watts to 2000 watts. This depends on the capacity, size and other features of the fryer, as well as its setting). Most oil less fryers are of a small to medium size and belong to the counter-top category. This type of fryers is easily adapted to any kitchen, but is usually limited in the capacity. On the other hand, larger fryers hat fit more food are typically placed outdoors. Be sure you’re aware of the capacity of your home as well as your needs before deciding on an option. Most oil less fryers come with a manufacturer's 1-year warranty, but it greatly varies from product to product. Whichever product you chose, be careful - warranties are the first step of consumer protection. A manufacturer with a good warranty is one that thinks ahead and that kind of security might just be what you need. Before purchasing an oilless fryer, we recommend considering several important questions. Firstly, for how many people do you usually cook? Is it a one-person meal, for your family? Do you often host parties or similar occasions? Are you looking for quality or an easy solution for healthier meals? What is the capacity of your home and do you need a counter-top or outside fryer? What is the ideal warranty you are seeking for if any? Make sure you have these questions answered since it will be of great help when it’s decision time. If you have answered the previous questions, you probably have a better idea of what you are looking for in an oil less fryer. As we mentioned, the choice largely depends on your home, so setting of the fryer is one of the key points. Followed by the capacity and size - how many people do you usually cook for? Keep an eye on wattage information as well, especially if you are ordering overseas. Warranty should be on your check list, and last but not the least, remember the price-quality comparison. 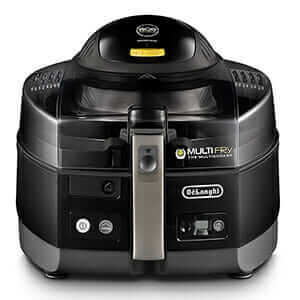 For example, based on our needs we would opt for a turkey fryer such as Char-Broil Big Easy oil less fryer. Why? Most cooking is done around Thanksgiving and the turkey preparations can be a real endeavor. The kitchen is not spacious enough for a counter top appliance that would be used occasionally, which is why an outdoor cooker is perfect. Char-Broil Big Easy also uses an Infrared cooking technology, which has given some juicy results and can be less prone to malfunctions. If you are not a fan of plastics and glass as well, you might find this type of design the right fit. All in all, the most important thing is to know just what the best thing is for you and your home (and your budget). Before you start cooking a turkey, be sure to prep it correctly. The prep should take you less than half an hour. The cooking period should last from 8 to about 10 minutes per pound of the turkey. After the turkey’s done, leave it for a half an hour before carving. All in all - the Char-Broil Big Easy Oil less turkey fryer is probably the best bargain you can get. It’s reliable and easy to use, with a big capacity and healthy tech to get you the tastiest healthy food. If the idea of making changes to your cooking style with the Big Easy turkey fryer, do not fear. It comes with a set of recipes for oil less cooking to ease your change towards a healthier lifestyle. If you had a chance to acquaint yourself with some of our chosen products, let us know! 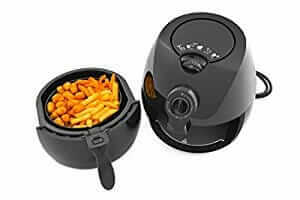 What do you think about oil less cooking and air fryers? What is your experience with the Char-Broil Big Easy oil less infrared turkey fryer?